Few cars offer a sense of occasion like travelling - and arriving - in a Bentley. 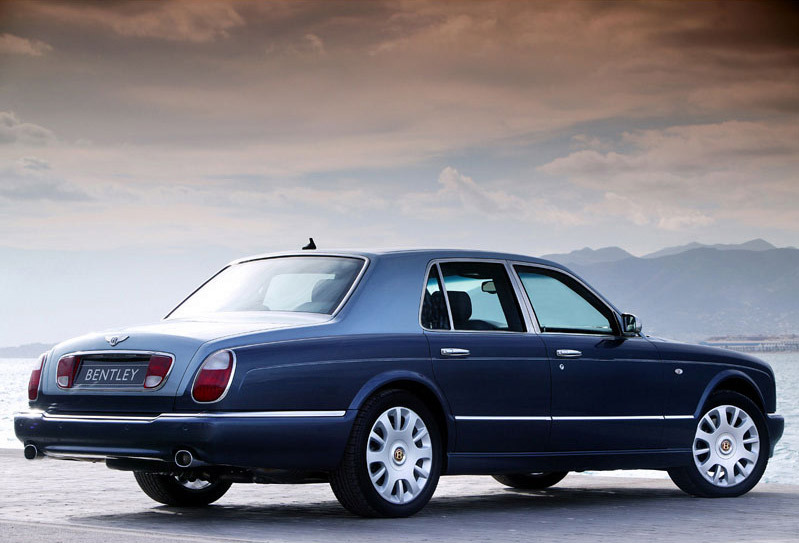 That's certainly the case with the Arnage, available for ridiculously small amounts of money. Sadly, despite low purchase prices, running costs tend to be high - so don't get carried away snapping up a cheap Arnage, only to find that it bankrupts you at the first service..
6/98: The Arnage debuts with a BMW 4.4-litre V8. 9/99: The Red Label Arnage appears, with the classic 400bhp 6.75-litre pushrod V8; from this point on, the BMW-engined Arnage is known as the Green Label. 1/02: A long-wheelbase version of the Red Label is now offered, along with the 450bhp Arnage T.
3/02: The Arnage R arrives. 3/03: The long-wheelbase Arnage RL appears, with a 450bhp V8. 11/06: The V8 gets an overhaul, with displacement rising to 6761cc and power jumping by 50bhp. 9/08: The run-out Arnage Final Series goes on sale. That bluff front easily gets damaged by flying debris, so check for paint chips. Be wary of wacky colour schemes specified by first owners with more money than taste. Alloy wheels don't age well, with peeling lacquer par for the course. Interiors also don't necessarily age well; look for sagging leather, delaminating wood and tatty carpets. The suspension and brakes have to work hard; check they're not tired, as they often are. Check who has serviced the car; independent specialists are fine - but it needs to be somebody with a decent reputation.